Carrigroe is a small hill eight miles inland from the sea, which commands a widespread view of the coastal plain between Courtown and Wexford Harbour and looks westward over the pleasant countryside surrounding Ferns… On the last Sunday of July, known as Fraughan Sunday, people went to the hill to pick berries... On top of the hill is a cleft rock called the Giant's Bed (Máire MacNeill, 'The Festival of Lughnasa', p. 229). Carrigroe Hill is the 1324th highest place in Ireland. Carrigroe Hill is the second most easterly summit in the North Wexford area. 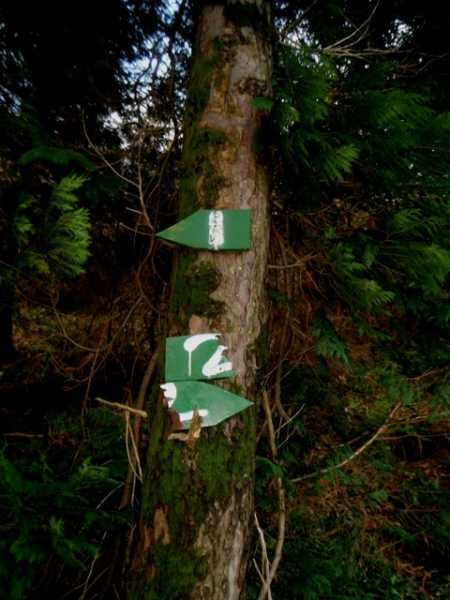 Picture from eamonoc : Which way?